Australian beef sales to China increased six-fold in three years to a record $917 million in 2015, according to data from the Meat & Livestock Industry. The Chinese demand for beef is increasing as the diet of wealthier consumers changes to include a greater variety and quality of protein sources. Beef production is also low domestically in China, whilst pork is the most common, mass produced meat source. Quality beef is simply not produced in China currently. This creates a strong demand for overseas beef suppliers such as the ‘Australian Agricultural Company Ltd’ or ‘Nippon Meat Packers’ Australian division. Australian beef is marketed as being a ‘quality product’. It has to distinguish itself in terms of quality because it is significantly more costly. Indian beef for example is much cheaper with boneless buffalo meat offered at around $3,200-$3,600 per tonne. This compares with an average price of $4,500 per tonne for Australian beef shipped to China last year. Here is an example of Australian beef being sold on the popular e-commerce platform, Tmall. This is Alibaba’s flagship e-store for quality, western products and it is important to have a strong presence here. Store fronts can be designed to include a range of different images and visuals to represent this quality, here the aesthetic of images connotes this. 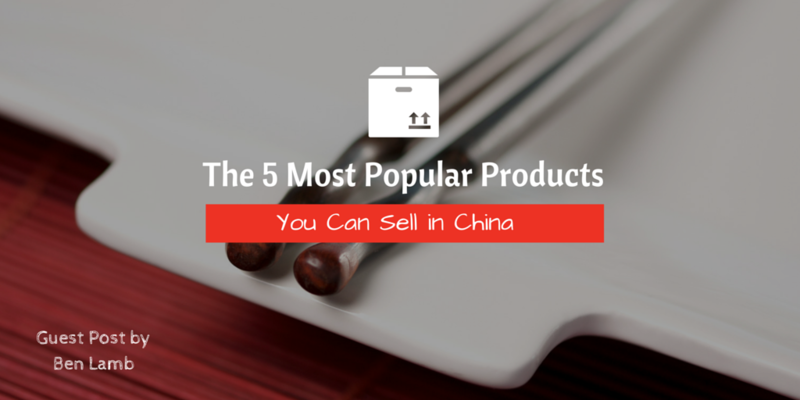 It is important to have a strong presence on Tmall where high-end Chinese shoppers will find you. With about 16 million births per year, China is one of the world’s biggest markets for baby food and infant formula, representing around 23 percent of the $41 billion global market. Now is an especially opportune moment as the one child policy has been lifted, parents can now legally have two children without being financially penalised. Concerns about the safety of domestic supplies and the circulation of counterfeit Chinese products have led to a rising demand for imported baby formula among urban, middle class households. Formula is not just imported to China but also purchased overseas, Australian merchants have even experienced an increase in Chinese shoppers purchasing baby food when visiting the country. The Chinese phenomenon of ‘little emperors syndrome’ may explain this Chinese desire for the highest quality baby formula. Due to the one child policy there are still large families supporting a single child, they are therefore famously spoiled and well looked after. The current policy allows two children but it is likely this phenomenon will continue when such a strong culture has been established over the years. Here are some formula’s available on e-commerce site Tmall, it is clear how the brands are directly capitalizing on their Australian heritage with brand names such as ‘Auscess’, ‘Augood’ or ‘Goldroo’. Tmall hosts ‘official stores’, this gives western brands the opportunity to promote their products in China and reach the largest number of potential consumers. The key is authenticity, in a market flooded with counterfeit goods consumers seek to ensure they are buying genuine brand products. The Australian wine company set out to tailor its image specifically for the Chinese market by partnering with the specialist branding agency ‘Landor’. Jacobs Creek is marketed as a more upmarket, luxurious and sophisticated proposition. This is how foreign wine brands are perceived in China and they seek to capitalise on this hallmark of quality. Maintaining a certain image and status is very important culturally in China, it is often about ‘keeping face’. By marketing Jacobs Creek as a higher quality, more luxurious, wine brand they can capitalise on this consumer desire to project status and prestige. The affluent consumer wants to be seen to be drinking the best wine from abroad. The Chinese particularly love narratives that elevate a brand, one can seek inspiration from French wine which is very popular in China, emphasising heritage and tradition is key. The market has become so strong that some wealthy Chinese have invested in the Australian wine industry. Yaldara winery in South Australia was bought for $15.5m by Chinese businessmen Zhitai Wang and Kuifen Wang from Qingdao in Shandong province. Wine tasting has become a popular phenomenon in China with brands such as the ‘French Cellar’ growing their monthly subscription model significantly through informative and social events. The Chinese really appreciate that personal touch and to feel like an expert is guiding and advising them, this needs to be communicated in your marketing campaign. Enlisting a top sommellier (as the French Cellar did) to represent and legitimise the wine label is vital. Ever since the tragic milk poisoning scandal in China in 2008 that killed six children and left 300,000 seriously ill, the middle kingdom has been manic for the Western product. Australia are cashing in on the increasing demand for quality and safe milk products in China. China lacks its own dairy industry and has turned to other nations such as Australia to meet the growing demand for dairy. The Chinese traditionally have not consumed high quantities of milk, many Chinese in the past are thought to have been lactose intolerant because dairy was not included in their diet. These days times and tastes have changed with more consumers, especially the younger generation, consuming more dairy and milk based products. ABC reported that; “in the past two years, Australian dairy companies have spent or plan to spend more than $1.5 billion building new or upgrading existing dairy factories.” This up scaling is largely aimed at production for the export market in Asia with China the predominant focus. When selling milk focus on your digital image, emphasise it is fresh milk (UHT is common in China) and make it visually clear that it has been exported from Australia. It would be advisable to change the colour of the packaging to help it stand out on the shelves. The UGG boots brand are a strong global proposition, China is no exception. Here is their website in China, the branding is again more upmarket, the product is marketed as being more luxurious. The unique selling proposition of an Australian brand from overseas is that it can differentiate itself from the fake, counterfeit products that often circulate in the Chinese market. Being an international brand in China lends itself to this more upmarket style of branding, the Chinese consumer will pay a premium for genuine, branded products that they trust. Ensure your website has a Chinese version that features both the English and Chinese text, quality content that is translated into Mandarin is key, communicating your brand message in China may require some thought and development. An intuitive website is also vital. For example, is the experience smooth and simple to follow? Design your e-store so that it is as user friendly as possible in order to reduce the phenomenon of abandoned shopping carts. Quality visual content should also be presented to consumers as they browse or initially enter the site, a strong first impression is key for Chinese consumers as they expect western products to stand out. It is clear that this is a lucrative market for Australian brands to capitalise on. With traditional language barriers being overcome by growing translation platforms such as Lendalocal, it has become easier to access local expertise and tailor your product and sales content to the Chinese market. Benji Lamb is a digital marketing and specialist passionate about providing solutions for western companies in China. For more information see his website and blog here.